Gertrude Williams, left, and Ellen Yates Miller. 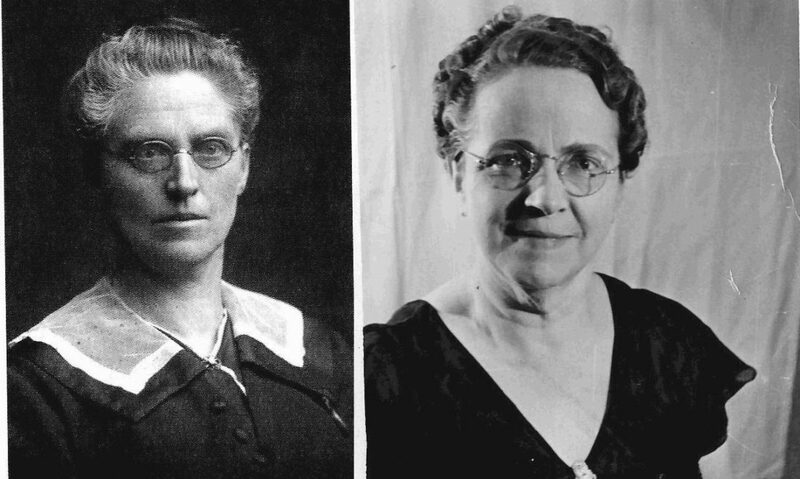 The pair was among the trailblazing women who lived in Chautauqua County. For the month of March, historians and history buffs alike are talking about “her story” in honor of the women who made a difference in the nation. Things are no different here in this part of the country. Many women have made history in Chautauqua County, according to the Chautauqua County Historian Michelle Henry. From the first woman to be a county clerk in New York to the first woman to hold the position of town justice, women in the county have hit several milestones. Henry provided historic research on several important women from the area in honor of National Women’s History Month. Ellen Yates Miller was born in Jamestown and graduated in the class of 1900 from Jamestown Public School. In 1918, she was a worker in a dry goods store in the city. When the state granted women the right to vote, she ran for Chautauqua County Clerk and won. She took office in 1919, becoming the first woman to hold the position of county clerk. At the time she took office, seven people resigned because they did not want to work for a woman. Just a few miles outside of Jamestown, another trailblazing woman was making history around the same time. Gertrude Williams was born in the town of Poland in 1868, and resided in Kennedy when she was elected town justice in 1920, and was the first woman in the state to hold such a position. She served until 1924 and held court in her home. Yet, before the time women were able to vote, a woman in the Jamestown area was sheltering slaves as part of the Underground Railroad. According to research by Jamestown City Historian Dolores Thompson, Catherine Dickes Harris took in many slaves as part of the system to remove them from the horrors of slavery and help them escape to freedom. Harris was born in 1809 near Meadville, Pa. As a widow, she moved to Jamestown in 1831 with her baby. She build a small home at 12 W. Seventh St. and became known as a nurse and midwife. Her home was only 16 feet in length, but sheltered up to 17 people at one time as part of the Underground Railroad. Harrison is also known for founding the Blackwell Chapel AME Zion Church in 1881. At that time, the church met at her home, but achurch building was build from 1898-1902. The current church is located at 610 Spring St. in Jamestown. Calista Selena Jones was the first woman in Jamestown to be paid the same salary as a man for the same position. Jones was born in 1823 and died in 1900. Her historic wage earning does not have a specific date attached to it, but it occurred some time in the mid-1800s. Jones was born in the town of Ellicott and she obtained her early education in private schools. She became a teacher in 1841. At one time, after the failed attempt of a man to manage a Jamestown school, Jones was asked to assume the role. She said she would, but insisted that she be paid the same. The school trustees at first refused, but in time, they relented because Jones held her ground and was the only one who could do the job. She received $1 a day as her pay. Henry said there are a variety of people throughout the history of Chautauqua County who made a historic impact, both men and women. She said it is “unfortunate” that schools do not focus more on the local history and the people behind it. In particular, Henry said it is important to acknowledge what women have done throughout history. She said in the past, women were not credited for their efforts to achieve equality or for their contributions in community building. For those who wish to learn more about local women’s history, Henry directed them to a website created by Traci Langworthy of JCC, which chronicles a variety of content regarding local women at www.sunyjcc.edu/womenshistory. For more information on the history of Chautauqua County, call 753-4857.